Q1. How long have you been in Business ? Q2. Do you offer a moneyback guarantee? What are the conditions for eligibility ? Ans. We have a First 15 Days Money Back Guarantee! Q3. What's your uptime guarantee ? Q4. Do you have a site builder ? Ans. 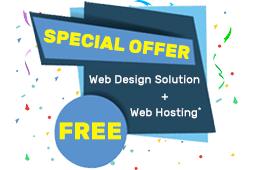 Yes we include a free site builder for all of our shared hosting packages. Q5. Do you allow Adult Content ? Q6. What methods do you accept for payment? Payza(AlertPay)- Payza Balances, Visa Credit cards. EBS- India Net Bankiings, Debit Cards, Visa/ Master Credit Cards. Q7. What are the DNS servers for your hosting ? Ans. They will be emailed to you after you signup for our web hosting service. Q8. If I go over my bandwidth limit for the month, what happens ? Q9. Can I upgrade or downgrade my account ? Q10. Are you a Reseller ? Q11. Do you allow sites to advertise for money, on their web site ? Q12. Can I ping one of your servers? Ans. Yes, you can ping our test servers. Q13. Is PHP Safe Mode Turned On? Q14. Do you offer shell access ? Ans. Yes we do. Please note SSH is only enabled upon request for shared hosting customers and for up to 24hrs. Also please make sure Jailed-SSH is provided for your hosting package. Q15. Can I host friends? Q16. How long does it take to setup my account ? Ans. Your account will be setup instantly and your account info will be emailed to you. Instant setup is applied to only some of our web hosting services like shared hosting, reseller hosting, vps hosting. Q17. How can I view my site when my domain is still propagating ? Ans. You'll be given the link in your welcome email after signup. In some cases you cannot access temperory link, as it will disabled for security reasons. Q1. How do I connect to my FTP server ? Q2. How come I can't delete a folder via FTP ? Q3. What are the mail servers ? Q4. When using php or perl, I get errors related to permission denied could not open/read file, what is wrong? Ans. Make sure your scripts are writeable. Simply chmod 777 the file or change the file to read/write from your ftp client. Q5. How long does it normally take for domains to use their new nameservers? Q1. What is the path to my users files ? Q2. How do I use PHP5/PHP4 ? Q3. What is the local path to perl ? Q4. What is the local path to curl ? Q5. What is the path to ImageMagick? Q6. What is the path to FFMPEG and FFMPEG-PHP ? Q7. What is the path to MPlayer, Mencoder and FlvTool2? Q1. How do I get the 15 day money back ? Ans. Simply email us your site username and password within fifteen days and we process your refund in less then 72 hours. Q2. How do I make a payment ? Q3. How do I upgrade or downgrade my account? Q4. How do I stop billing and cancel account ? Ans. If you wish to close your account simply contact our helpdesks billing dept. If you want to request for a refund please include your payment info as well. Then you'll need to cancel your paypal subscription if you have one made. Q1. Do you have banners or buttons for scopehosts ?